→What is the Best Flashlight for the Money in the Market? The world of flashlights is huge that finding the best one isn't as simple as you think. 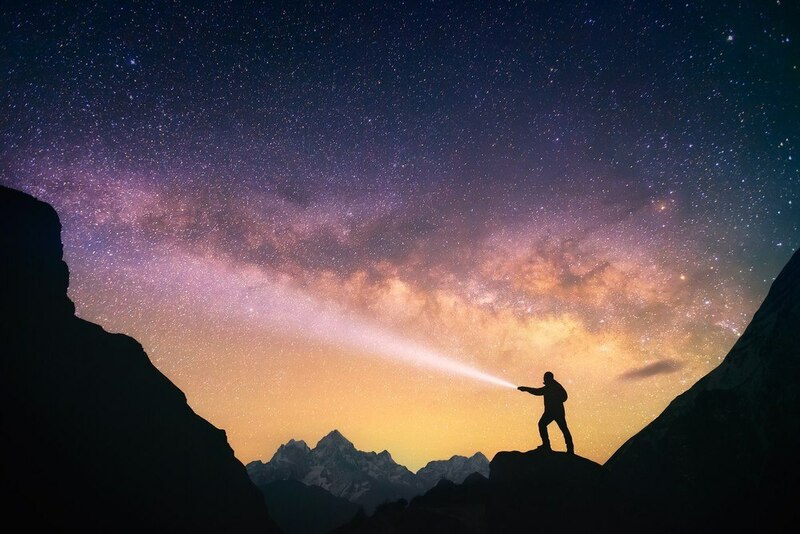 There are LED flashlight, pocket flashlights, tactical flashlights, and so much more that different situations may call for different flashlights. They are not always used, but we have or want to have them in our attempt to be well prepared. They are useful for camping, power disruptions, and emergency situations. To help you find the best flashlight for the money, we’ve run down a few things that you need to consider. 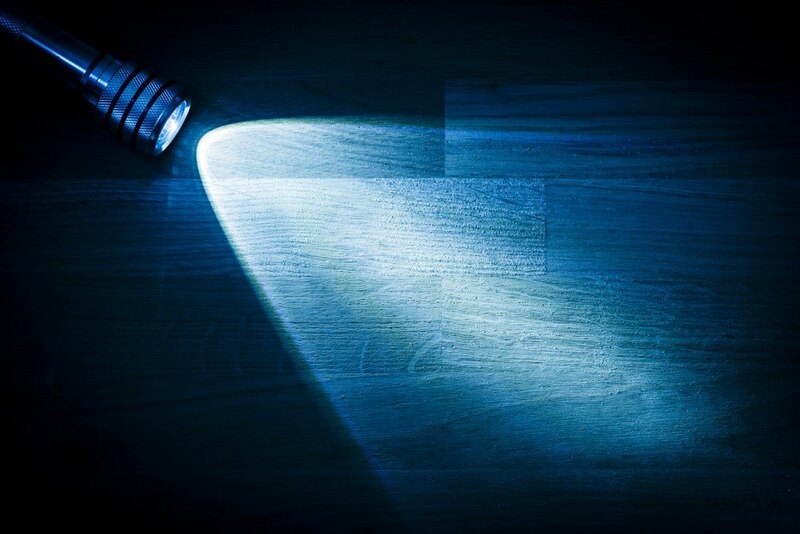 The best place to start is probably identifying what you will use a flashlight for. Is it for camping or is it for an emergency power outage? Is it for everyday carry? Are you in a search and rescue team that needs a flashlight? You can choose from a wide range of sizes of flashlights, and the choice is mainly dependent on your preference. You can find flashlights that can fit in your pocket to monster lights that require two hands to carry. There are different kinds of flashlights regarding size - handheld, keychain, pocket size, lanterns, etc. The weight is more of a personal choice and is also dependent on how you will use it. For instance, backpackers will prefer and lightweight and compact flashlight. Flashlight batteries can either be rechargeable, renewable, or disposable that come in different shapes and sizes. The kinds of batteries you get are really important because it affects the performance of the flashlight. It’s possible to not get the best out of your flashlight because of the batteries. Rechargeable batteries are exactly what the name suggests - rechargeable. They can be built into the flashlight and recharged from an energy source through AC/DC outlets or USB connection. They can also be removable and rechargeable batteries which you can charge on a separate charger. Rechargeable batteries are more expensive up front but usually costs lower along the run. Keep in mind that unused, they still lose power over time, so recharge them once in awhile in case of emergencies. Disposable batteries are only usable until they run out of energy. However, they are better than rechargeables in that they are better for emergencies. 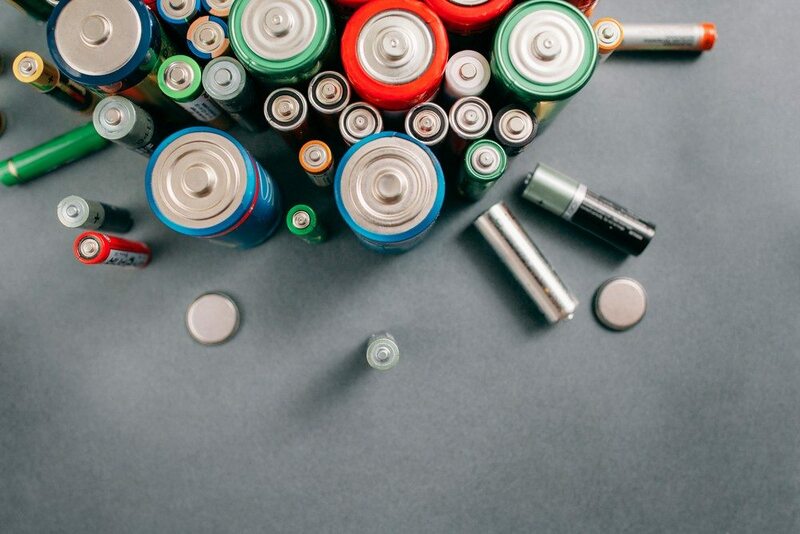 Rechargeable batteries lose power over time even when they aren't used (this is called self-discharge). Disposable batteries, also called primaries, have a low self-discharge rate so that you can store them in case of emergencies. Renewable batteries are batteries that get energize via solar panels or hand cranks. These are also great for emergency or survival kits. The most common bulb type nowadays are LEDs (light-emitting diode). They are much more energy efficient, more versatile, and more long-lasting than incandescent lights. How bright of light do you need? Enough for reading a book in the dark or brighter to light your path? The brightness is measured in lumens, and it can range from 20 to 35000. The higher it is, the more batteries it will need. Beam distance is probably one of the more important things consider. It refers to how far the light will shine and is measured in meters. There are three different beam types: flood/fixed, spot/focused, and adjustable. Flood beams are wider and good for large areas and short distances. A spot beam is a beam condensed into a spotlight, ideal for narrow areas and long distances. However, many flashlights nowadays come with an adjustable focus so you can switch between the two. What is the flashlight body made of? What is the shape of the flashlight? How light and durable is the material? Is it shockproof and waterproof? Does it float? These questions should guide you in finding a great flashlight. If you’re still not sure what flashlight to get, here are some of our top picks. They vary greatly, but they are some of the best kinds in the market. The J5 Tactical V1-Pro Tactical Flashlight is an excellent choice for survival, camping, hunting, self-defense, and everyday carry. It has a maximum of 300 lumens and has a beam distance of up to 600 feet. The LED light is one of the brightest and can temporarily blind a person. You can adjust the light in three modes - high, low, and strobe. At 4 inches long and 1.125 inches wide, it's compact and easy to carry. It has a belt clip, so it's also within easy reach. The aircraft-grade aluminum body has a skid-proof design and is impact resistant and water resistant. You get great value cheap. Compact and lightweight. It’s great for camping, backpacking, everyday carry, self-defense, biking, etc. It has a convenient belt clip for easy carry and reaches. A single battery can run for hours (depending on battery quality) on high mode before it dies down. On normal use, it can last for weeks. If you want a bigger flashlight for a larger beam to cover a wider area, this one is not it. The BYB LED flashlights are as compact as can be. It can fit easily in your pocket and light enough for backpacking or everyday carry. Despite the size, it is still a very powerful flashlight. It has 9 LED bulbs, a light output of 30, and a beam distance of up to 20 feet. The flashlight has an aluminum body that's sturdy enough for an everyday beating. Powered by 3x AAA batteries, it can run for up to 30 hours. Each flashlight comes with a lanyard hole and a hand strap. Inexpensive option and great for everyday carry. It’s very handy. Compact design and lightweight body ideal for backpacking. Run time is pretty good for normal use. Not as durable as the other options. It’s also not as powerful, but it’s more than enough for less demanding situations. 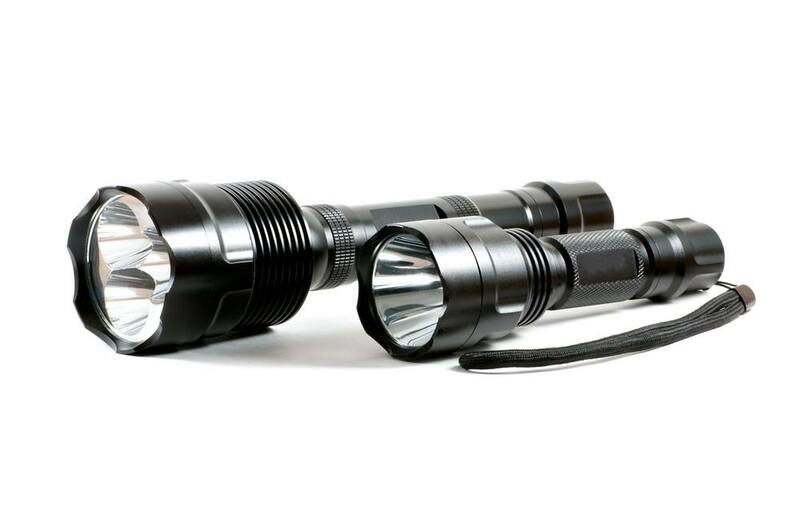 HeroBeam is an unlike any other of the flashlights on this list because it is a larger option. That said, it’s not ideal for backpacking, but it is great for camping. It has 360 degrees of illumination to light up a whole tent or room. They're great for having in the shed, garage, boat, or caravan. They're also a much better option for power outages because you can leave it in one place to light up the room rather than carry around a smaller flashlight that will only light up in one direction. The HeroBeam LED lantern with a flashlight is one of the best of its kind is designed for rough outdoor weather. With quality batteries, it can run for up to 8 hours. It has a durable body that is shock resistant and water resistant to IPX4 standards. Even though it is large, it is not too heavy. It also collapses into a smaller size, so it fits in most kitchen drawers. It’s versatile - can be a lantern or a flashlight. The 360 illumination lights up a whole tent or room rather than just one side or corner of the room. One of the best options for emergency outages. They run on 3X AAA batteries which are very accessible. Flashlight and Lanterns have separate switches so you can use them separately. Heavy and large for backpacking. The Dorcy 41-2510 is a great residential and commercial flashlight. It has 4 LED bulbs that have 55 lumens and a beam distance of 31 meters. The body is very light and durable. It uses shock absorbing rubber around the head and body, allowing a non-slip grip for stability. However, the more looked after the feature is probably the fact that it is waterproof and will float on water. At 0.28 pounds, this handy flashlight is still very lightweight for its size. It comes with a carabiner clip so you can clip it to your belt of a backpack. The batteries that come with it are AA-cell batteries, and they can give almost 9 hours of run time. Bright colored body are easy to spot or find. Waterproof and float-ability make it one of the best options for fishing, kayaking, canoeing, and other water activities. The body seems very durable. The rubber handles feel great and are non-slip. Great light and long run time. A little bulky for backpacking or when you have limited space in your bag. However, it’s great for car camping, caravaning, household use, fishing, kayaking, boating, and canoeing. The Outlite A100 is a tough one to beat in its category. It's a tactical/handheld flashlight that can be used for occasions like camping, everyday carry, and just about any situation requiring light. It has LED bulbs that have a lifespan of up to 100,000 hours and a beam distance of up to 150-200 meters. You can adjust the beams from high, medium, and low, and it also has strobe and SOS modes. 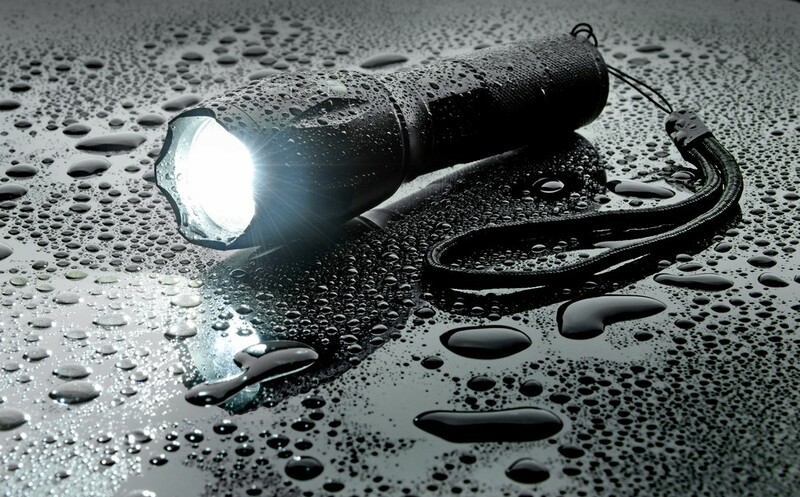 Another feature that makes it a great all-around flashlight is that it is waterproof as much as it is powerful. The body is made of high-quality aluminum, so it can also withstand accidental drops. Batteries are not included, but it runs on 3 AAA or 18650 Li-Ion batteries. Very powerful light in a compact and lightweight body. Great size and power for backpacking, camping, fishing, and other outdoor activities. Has strobe and SOS modes. Waterproof feature makes it a great option for rainy locations and situations. You can also use it for fishing and other water activities, but keep in mind that it doesn’t float. Adjustable focus and long beam distance. The body is heat-sensitive so that it can get a little warm on the hands. You can get similar features at a lower price with J5 Tactical. There are many different kinds of flashlights in the market ranging in size, quality, and price. The important thing is to keep in mind the different factors that should lead to your choice. When you figure out what you want to use it for (camping, backpacking, for emergency power outages, etc. ), it becomes easier to choose one. LED flashlights are more common since they are more powerful and efficient. Flashlights vary in performance, so check the light output, beam distance, and run time. They also vary in features like waterproofness, shock absorption, float ability, adjustability of light, etc. The best flashlight varies per use or person but here are some of my conclusions. If you’re looking for a powerful and compact flashlight for backpacking and survival situations, then I recommend the Outlite A100 Handheld Flashlight﻿﻿.